Mt. Tabor sits at the eastern end of the Jezreel Valley, 11 miles (17 km) west of the Sea of Galilee. Its elevation at the summit is 1,843 feet (575 m) high. It is used in Scripture as a symbol of majesty. Jeremiah 46:18 (NASB) “‘As I live,’ declares the King Whose name is the Lord of hosts, ‘Surely one shall come who looms up like Tabor among the mountains, Or like Carmel by the sea’” (cf. Ps 89:12). 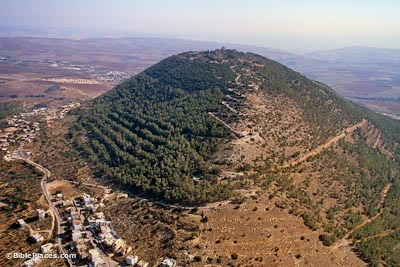 The Israelite tribes gathered on Mount Tabor in the days of Deborah. The Canaanites were assembled at Harosheth Haggoyim (likely on the opposite side of the Jezreel Valley) and Barak led the Israelite charge of 10,000 men against Sisera’s army. It seems that the Lord’s intervention on behalf of the Israelites was in the form of a rainstorm, such that the Kishon River flooded and made chariot travel for the Canaanites impossible (Judges 4-5). The date of the earliest churches on Mt. Tabor is unknown. The Anonymous Pilgrim of Piacenza saw three basilicas in 570. Willibaldus, in 723, mentions only one church dedicated to Jesus, Moses, and Elijah. There may have been three chapels joined together into one building, as in the present building. The current church was built in 1924 and belongs to the Franciscans. Mt. Tabor is probably not the location for the Transfiguration: (1) Jesus and his disciples are in the region of Caesarea Philippi just prior to the Transfiguration. (2) The general location of the mountain is not isolated. Much traffic passed by through the Jezreel Valley below. (3) A military fort was located on top of the mountain and was clearly in use during the Hasmonean period and the time of the Jewish Revolt, and likely would have been in Jesus’ day as well. 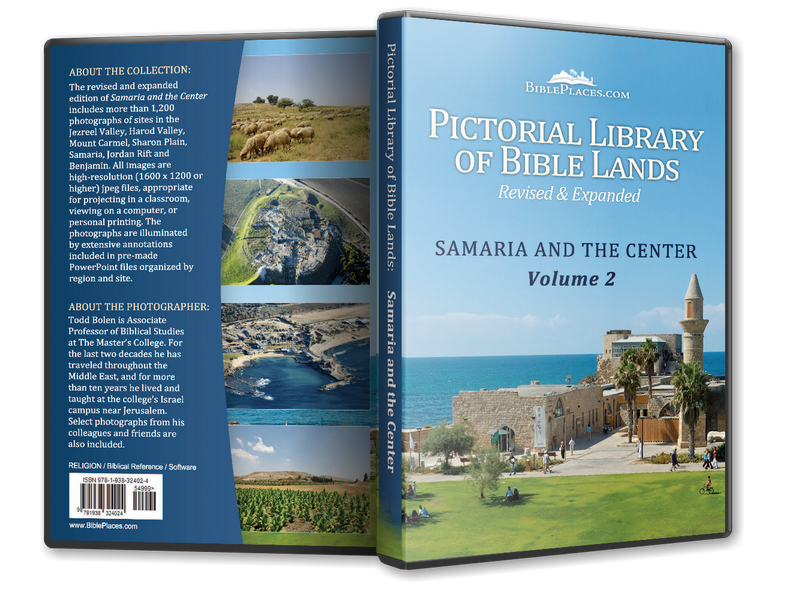 Download all of our Samaria and the Center photos! 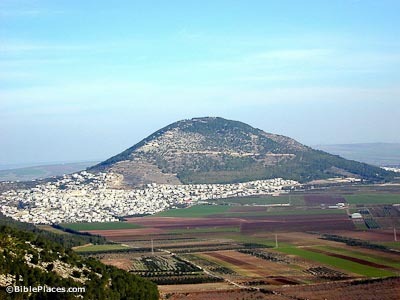 Mount Tabor (Walking in Their Sandals) Offers a brief introduction to the site and its historical significance. 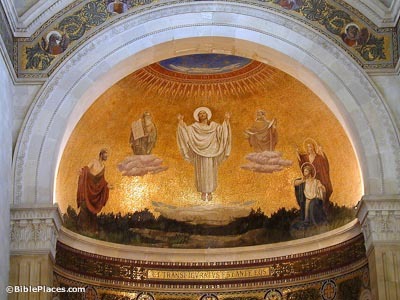 Discusses some reasons why it is probably not the site of the Transfiguration. This website also contains some pictures of Mount Tabor here. Mount Thabor (Catholic Encyclopedia) Good encyclopedia article that describes the site and discusses the history related to it. Also describes the view from the top. 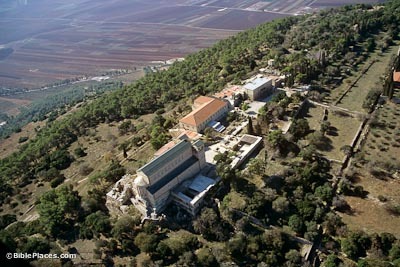 Mount Tabor (Franciscan Cyberspot) Features various articles related to the site. Supports the view that Mount Tabor was the site of the Transfiguration. Mt. 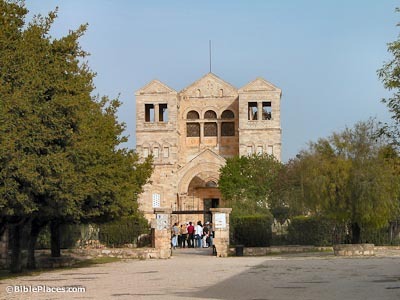 Tabor (Gems in Israel) Well-written article on the site, providing general information and tips on making a visit there. Also recounts the story of Deborah and Barak.